?HOT OFFER? Are you having IT problems or want to know if you might have them in the near future? Sign up for a FREE Network Health Checkup and get 1TB of free cloud storage and 4 FREE hours of IT support! Fill out our contact form on our website to get started. https://frwit.com/contact/ ?HOT OFFER? 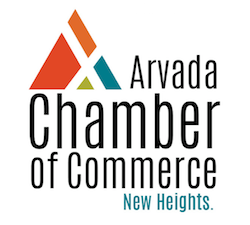 Payroll Vault is offering Arvada Chamber Members a discounted rate for your payroll services. We would like to offer Arvada Chamber Members 15% off our Payroll Vault packages as well as 25% off our initial set up fee, normally $99. Personable Media is your one stop shop for keeping your website up to date in Arvada. Save Thousands When Buying A Home, Just Ask Me How! Spring Special at Eli Ashby Healing Arts Center - 50% off Crystal Healing $45 for one hour session. Experience the healing powers of the Amethyst BioMat! Have you ever tried Crystal Healing? Now is the time - 50% off for a limited time.